Clothes that change colours while wearing them, is nothing new. Thermochromatic inks, as the proper term goes, have been seen on scarfs and t-shirts for some time, but never really gotten a break-through. Maybe designer Julianna Bass, who recently showcased her latest collection at New York Fashion Week, will help change that. Unlike other colour changing fabrics who are triggered by the body heat of the wearer, Bass’s dresses are equipped with small power sources controlled by a soft button integrated in the fabric. This way the wearer controls the change in colour, instead of being surprised by it. 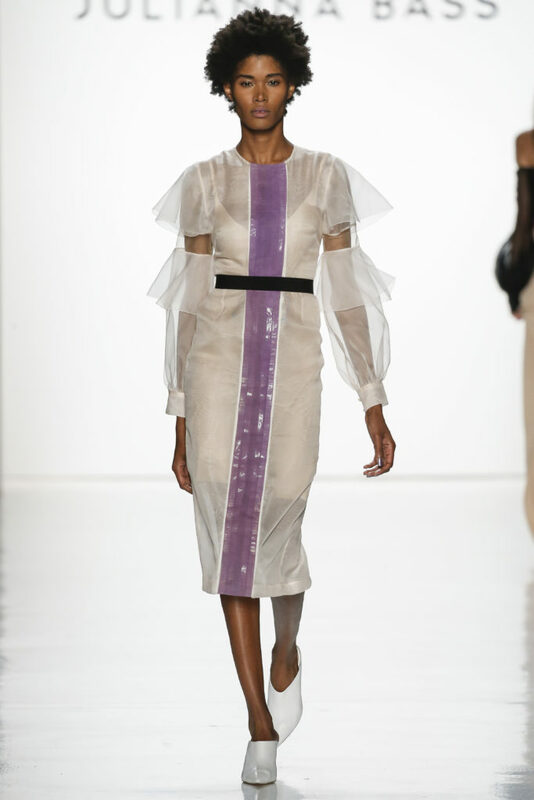 The dresses were made in partnership with New York-company Loomia, founded by fashion tech profile Madison Maxey. Photo credit: Dan Lacca/Julianna Bass SS18 collection, showcased at New York Fashion Week.